A chain link fence is one of the most effective and cost efficient types of fences available on the market today. Although it may not be considered the most attractive, there are many advantages to choosing a metal chain link fence. Our teams know exactly what to do with any and all situations that pop up with your chain link fencing. There are some fence repair services out there that will try to trick you in to replacing your entire fence when you probably only need to repair or replace a section. We've got the expertise to ensure that we will only be charging your for the repairs that you need. As we said, oftentimes all that is needed is for a particular section to be cut out and replaced. Our chain link fence repair team can take care of these repairs while also making sure that the rest of your fence's integrity remains intact. You are never going to have to worry about overpaying for a fence repair or fence replacement with us. 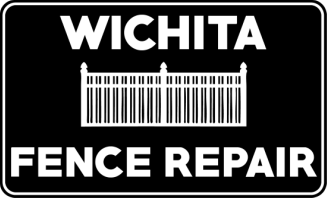 Wichita Fence Repair always works hard to give you the best deal and the best service on your chain link fence repair. We know that you have made a quality investment with your wrought iron fence. Known for their durability and beautiful craftsmanship, when you installed your decorative fencing, the last thing you were probably thinking about would be the day that you would have to make a phone call for repairs. It is not often that a wrought iron fence requires repair, but when it does, you want to make sure that you are receiving the highest standard of quality in your service that's available. We are the call that you should make. At Wichita Fence Repair, we have the skills needed to keep your vinyl fencing looking fantastic year round. Vinyl fences have so many advantages. Requiring a low amount of maintenance and most often very easy to repair, a vinyl fence is a wise choice for most homeowners. We commit to providing the level of expertise that your repairs require so that you can ensure it is as cost efficient and smooth as possible! Wood fencing is one of the classic choices for most home owners. In addition to the durability that they provide, they also look fantastic when maintained! However, we've all seen wooden fences that weren't taken care of and experienced warping and weather damage. If this has happened to your fence, don't worry, we can help! Our fence repair technicians have access to the types of wood needed to make repairs and will provide the maximum level of attention to detail to ensure that your fence looks great once again! Your fence should be durable. You shouldn't worry about whether or not the repairs you pay for will hold up, or if you are going to have to hire this done again next year... When you make the choice to hire Wichita Fence Repair for your residential fencing repair needs, we are going to make sure that you won't have to make that call again. There is no magic wand that we can wave over your fence to keep another problem from cropping up. BUT, we will do a full look-over of your entire fence and surroundings and share whatever thoughts we have in regard to upcoming maintenance and potential hazards. No matter what, we promise you that we will deliver the highest level of care and the standard that you need. Our fencing repair company will be providing you with great expertise, great materials, great value and great service. You're looking at the most trustworthy fencing repair company in Wichita, KS. Call us today and get your custom repair quote for your fence!